Following our comparison of the old versus new version of the Petzl Avao last week, we thought it would be good to look at the new Petzl Avao versus the Petzl Astro. 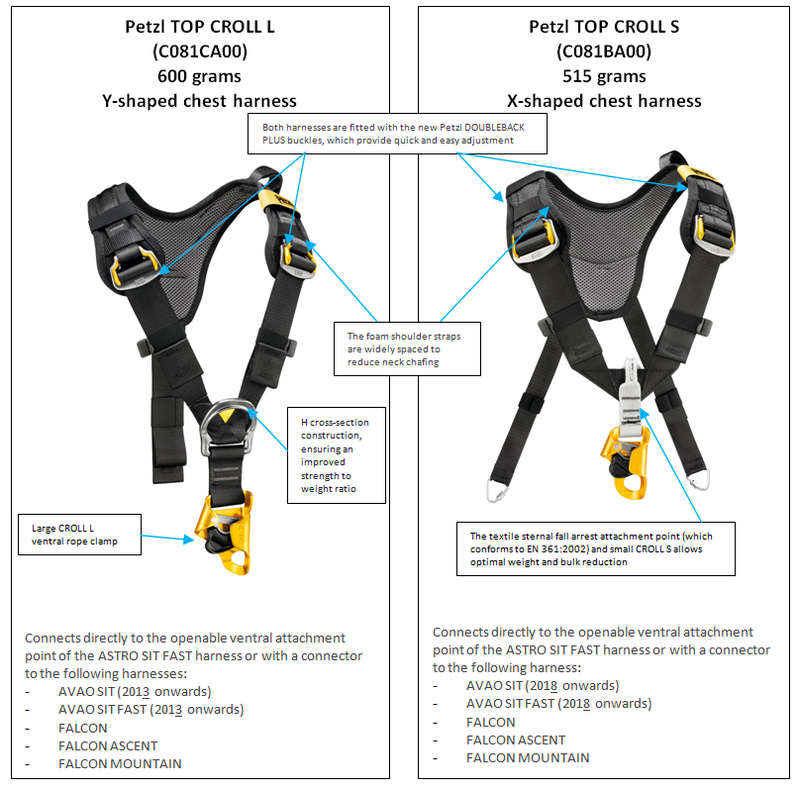 Note that whilst the Top Croll S is compatible with all the Petzl Falcon harnesses, it is only compatible with the 2018 onwards versions of the Avao Sit harnesses (due to previous versions not having the small loops on the rear of the waist belt to attach the mini maillons to). 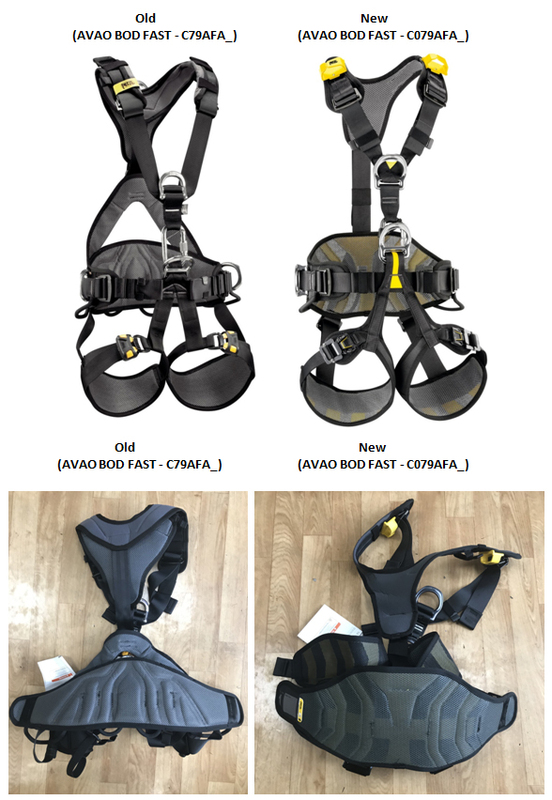 During 2018, Petzl changed their AVAO (European) range of harnesses. They stripping out much of the comfort padding and made some other fundamental changes; which we think are well worth highlighting. When paired with a TOP CROLL, the old AVAO SIT and AVAO SIT FAST were used by some for rope access; as the design was similar to the old NAVAHO’s Y shaped single attachment of the rear of the top section to the waistbelt (as opposed to the X-shape on the old AVAO). 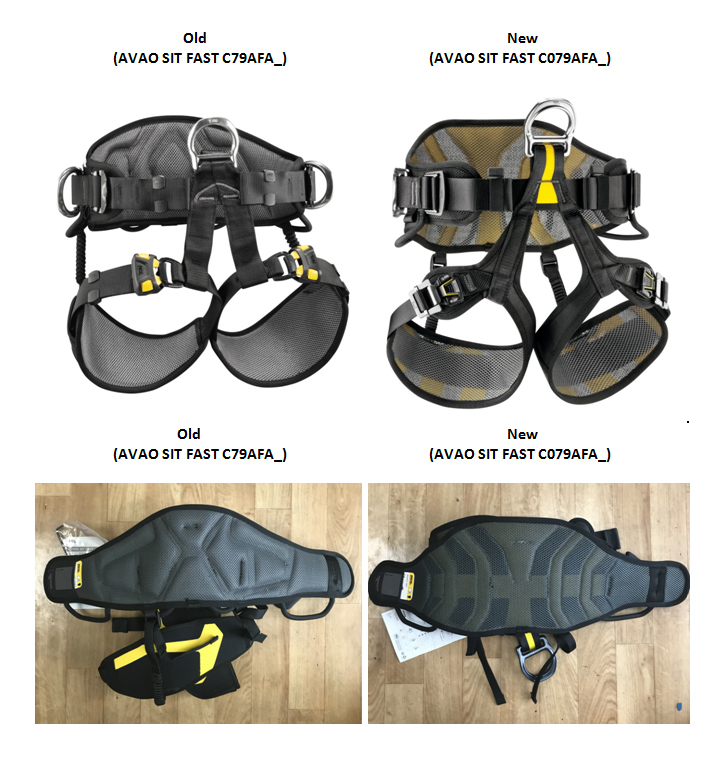 However, the new AVAO SIT and AVAO SIT FAST are a different design to the old versions and as they have less comfort padding, they are not primarily designed with rope access in mind. Most importantly, having limited / no padding, a deep waistbelt and less hardwearing material on the rear section of the leg loops. 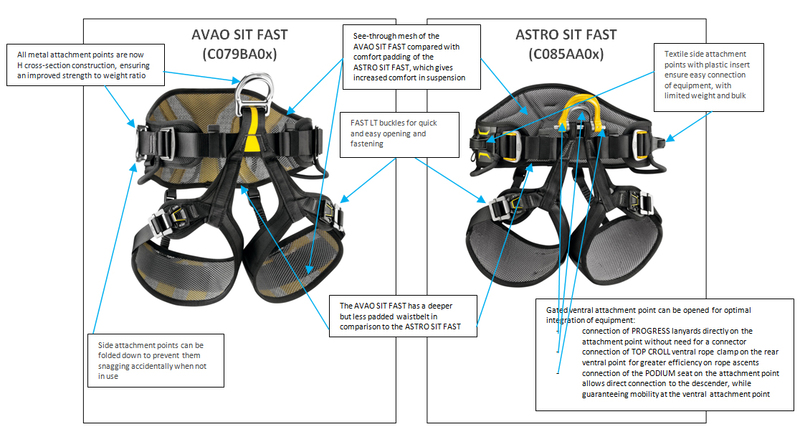 The go-to rope access harnesses in the Petzl range are the ASTRO BOD FAST and the ASTRO SIT FAST (used with a TOP CROLL L or Top Croll S chest harness). These changes mean that the new Petzl Avao harnesses are less comfortable while working in suspension. In view of the above, we would advise customers to use a Petzl ASTRO, not the new versions of the AVAO for rope access.